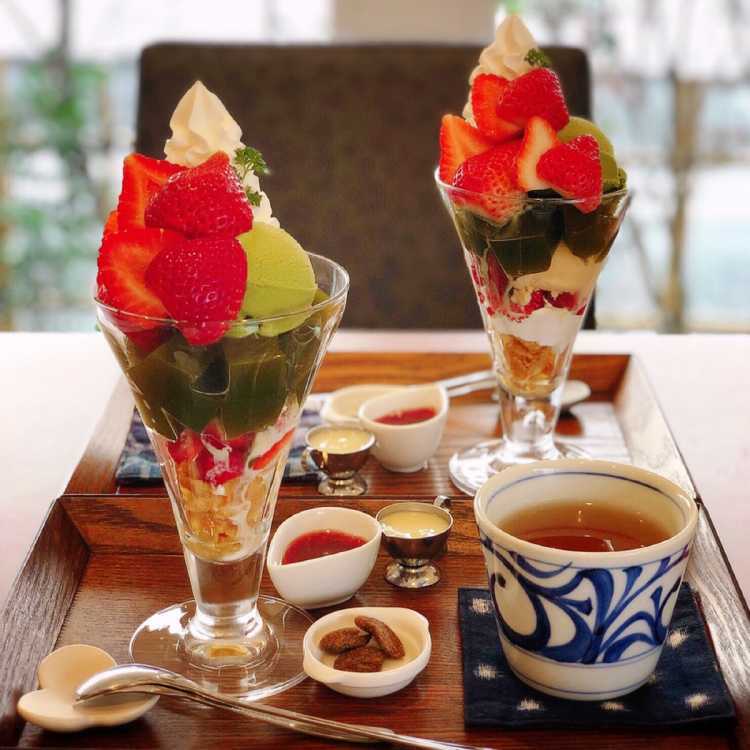 'Ichigo Ichie Parfait' with strawberries picked in the morning and famous Yame Matcha green tea, is now on sale. Many strawberries, matcha jelly, matcha ice cream, and whip cream! Condensed milk and strawberry sauce are served with it, so you can change the taste to enjoy till the last spoon. Limited sale until the middle of April!